Jane of All Crafts: The Queen, surgery, and a new Etsy shop. 'ello, 'ello! 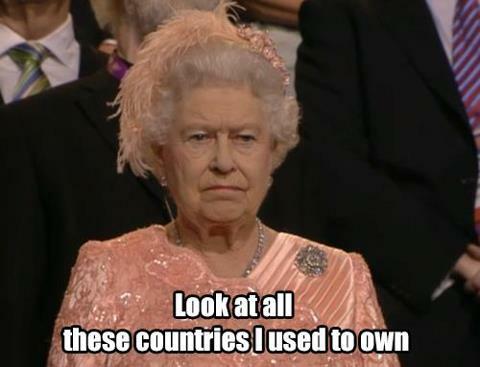 Everyone enjoying watching the Olympics? I am borderline obsessed. Okay maybe that is exaggerating. Kinda. I just love the variety of sports and the fact that it is in London makes me love it that much more. And how about the Queen? What a good sport she was...jumping out a plane and all. ;) Although during the parade of nations she seemed a bit stiff. he he. You never cease to amuse me pinterest. In other news, Natalie got her tonsils and adenoids out on Monday. She did REALLY well! Slept most of day one, yesterday she was up but resting all day and even ate some noodles. Today she seems a bit more sore but still recovering well. I am just looking forward to a winter without strep! Lily is up next for surgery, the tubes in her ears have not fallen out after 2 years so they have to remove them. Recovery from that is much faster! I'll be back really soon to share a BIG announcement!! I'm mean BIG people! Seriously. It's huge.